The Volkswagen Golf GTI is a sporty hatchback that both looks and handles like it belongs on a racetrack. Buying a certified pre-owned model is a great way to save on a used car that performs like new. To show drivers in Toms River, Brick, and Freehold what this athletic compact car has to offer, Toms River Volkswagen put this certified pre-owned Volkswagen Golf GTI review together. Contact us today to schedule a test drive! A certified pre-owned Volkswagen Golf GTI delivers an exciting drive with agile handling and a sport tuned suspension. Under the hood you’ll find a 2.0L TSI® turbocharged 4-cylinder engine that gets up to 210 horsepower and 258 lb-ft of torque. To go with this engine, there’s a 6-speed automatic DSG transmission with Tiptronic®. This design lets you take over the gear shifting and personalize your drive with steering wheel mounted paddle shifters. 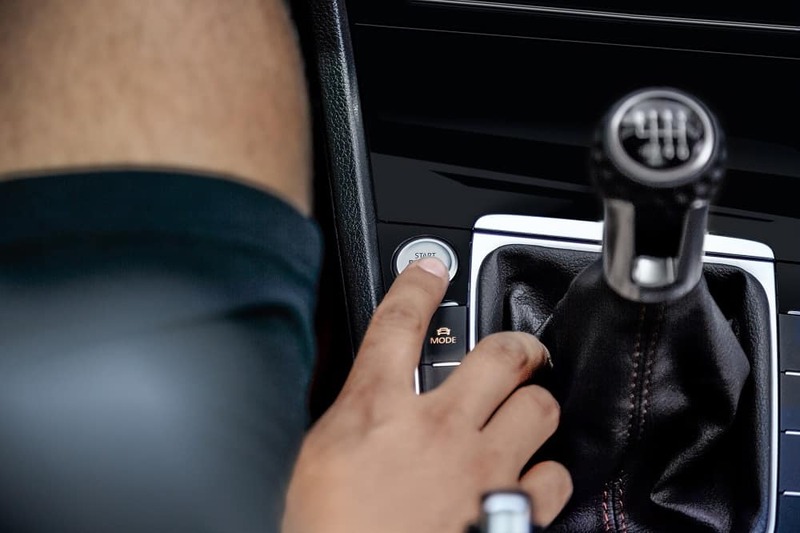 When you’re not controlling the gears, you can rely on the transmission to efficiently manage your power and boost your fuel economy. The VW Golf GTI can get up to an EPA-estimated 25 MPG city and 33 MPG highway[i]. The interior of the certified pre-owned Volkswagen Golf GTI features seating for up to five people. The driver and front passenger can each relax in bucket seats with lumbar support. This hatchback also has more space than meets the eye with a roomy trunk and 60/40 split-folding rear seats that can help you make lots of extra space when you’ve got more to load. On top of its comfortable and convenient cargo room, the cabin of the VW Golf GTI is also designed to be both stylish and sporty. The seats feature black cloth with a Red Clark Plaid pattern. Your controls are just as eye-catching with chrome sport pedals and a leather-wrapped steering wheel and shift knob. Each one has black leather with red stitching to match the upholstery. To further enhance your driving experience, the certified pre-owned Volkswagen Golf GTI has a standard infotainment system that provides you with lots of fun, convenient features. The dashboard has a touchscreen display that’s Bluetooth®-compatible. This lets you sync your smartphone and stream your favorite music and podcasts, as well as take hands-free phone calls. If you want some variety in your music, you can switch over to SiriusXM® Satellite Radio. You’ll get great sound quality too with the Fender® Premium Audio System. Plus, with the system’s standard voice control, you can browse through lots of stations without ever taking your hands off the wheel. Your infotainment system also works as a safety feature. When you put your car in reverse, the screen changes its display to show you what the Rear-View Camera sees behind you. Visit Toms River Volkswagen to test drive a VW Golf GTI and see why a certified pre-owned model is a great option for drivers in Toms River, Brick, and Freehold. To learn more about this certified pre-owned Volkswagen Golf GTI review, contact us or visit our certified pre-owned Volkswagen dealer near you! [i] Based on 2015 EPA mileage ratings. Use for comparison purposes only. Your actual mileage will vary depending on how you drive and maintain your vehicle.